As you know, I am NOT a fan of the birthday party goody bag (you can read my mini-rant in this post). And since Noah’s birthday falls out during the winter, I try to come up with favors that offer a temporary cure for that dreaded cabin fever. 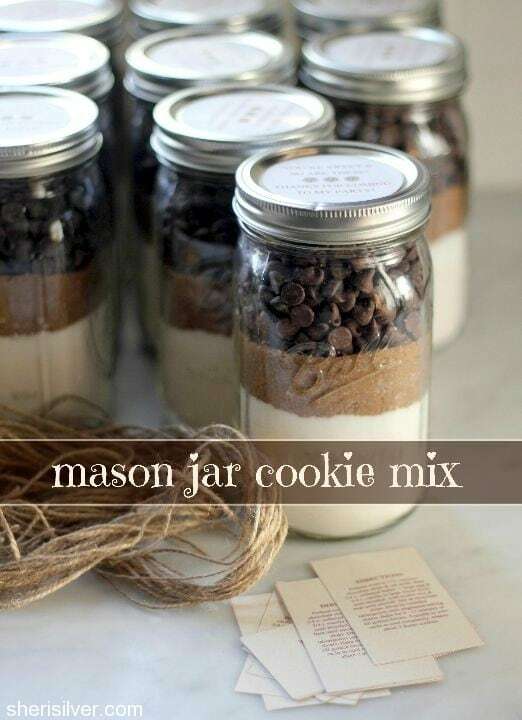 This year I decided to do a cookie mix packed up in a mason jar (because: Pinterest). If I’m being totally honest, I was as smitten with the presentation factor (because: sand art) as I was with the prospect of kids making cookies with their parents. 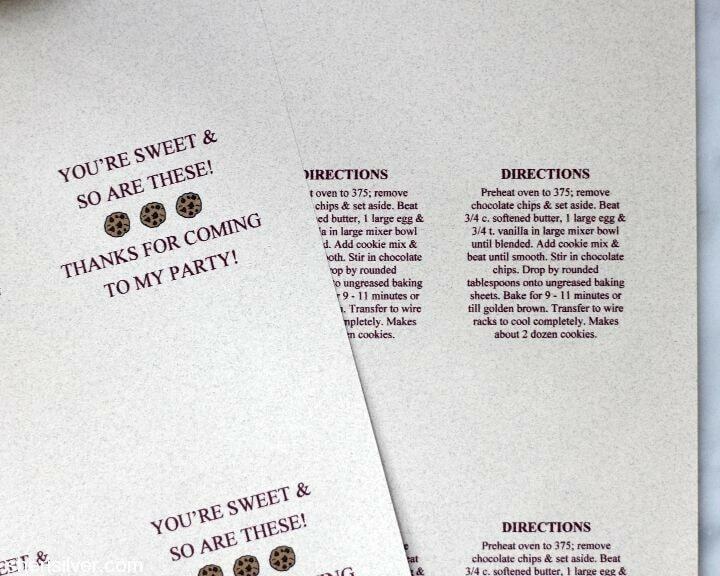 Not everyone bakes, and I loved the idea of sending home a pre-measured kit that would make the “getting to the fun part” happen that much quicker. I chose traditional chocolate chip cookies but you could adapt this project to any favorite recipe! The key to getting all the ingredients to fit – and a clean, neat look – is tamping down each layer. I MacGyvered a tool using a chopstick and a piece of thick cardboard covered in foil, and it worked like a charm. 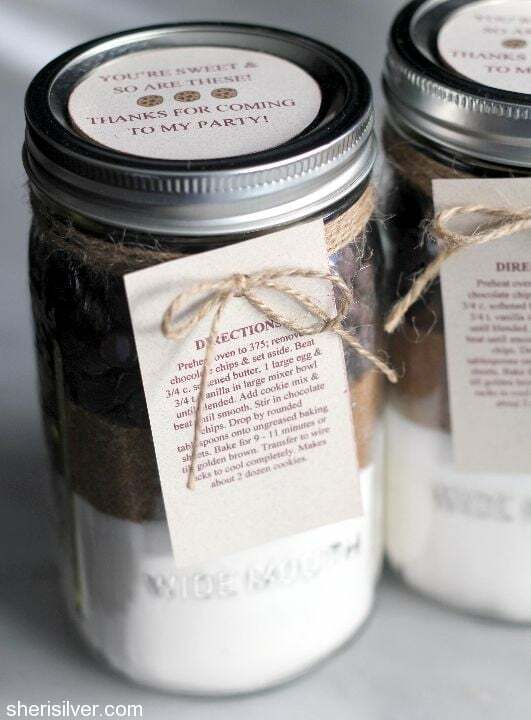 Needless to say, these would be great for SO many occasions – teacher gifts, Valentine’s Day (replace the chocolate chips with pink, red and white M&M’s), hostess or housewarming gifts. Have fun! 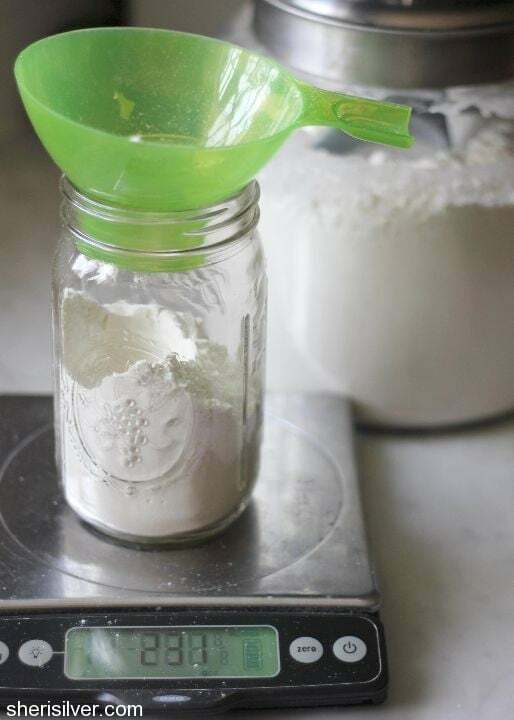 Combine flour, baking soda and salt in a small bowl – pour into your mason jar (I found a canning funnel to be VERY useful – especially since I was making a bunch of these babies! I got the one pictured above for about two dollars at Chef Central). Using your “tool”, tamp the flour mixture down till it is firmly packed and level. Repeat with the white sugar, followed by the brown sugar – tamping down each layer. Add the chocolate chips and seal the jar. Preheat oven to 375; remove chocolate chips & set aside. Beat 3/4 cup softened butter, 1 large egg & 3/4 teaspoon vanilla in large mixer bowl until blended. Add cookie mix & beat until smooth. Stir in chocolate chips. 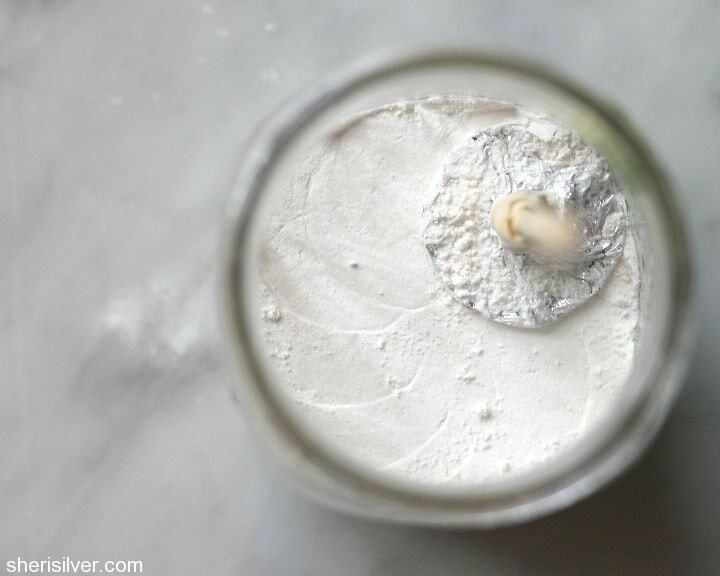 Drop by rounded tablespoons onto ungreased baking sheets. Bake for 9 – 11 minutes or till golden brown. Transfer to wire racks to cool completely. Makes about 2 dozen cookies. Need more mason jar inspiration? May I just applaud your MacGyvering? And how cute is this? What keeps me from making stuff with my kid? Getting the recipe out, measuring the ingredients, and softening the butter. You’ve got two out of three covered. Do you perhaps know how long these will last if stored in cool place. 6 months? Yes, it will last up to six months or more if store in cool dry space? Do you have measurements for mason jar red velvet cake? Thank you so much for sharing your ideas and design. I recently made the the cookies jars for my son’s birthday party and everybody loved it. Oh fabulous! I’m so glad – thanks for writing and happy holidays to you too! i’m not sure what i did wrong, but i’m having troubles fitting all the ingredients into the jar. ( can’t fit the last half cup of chocolate chips). I feel like i have too much flour?? Can we replace the egg with something? I’ve never tried it – but you could try applesauce or a powdered egg replacer (like Ener G) – let me know if you try! Hello! 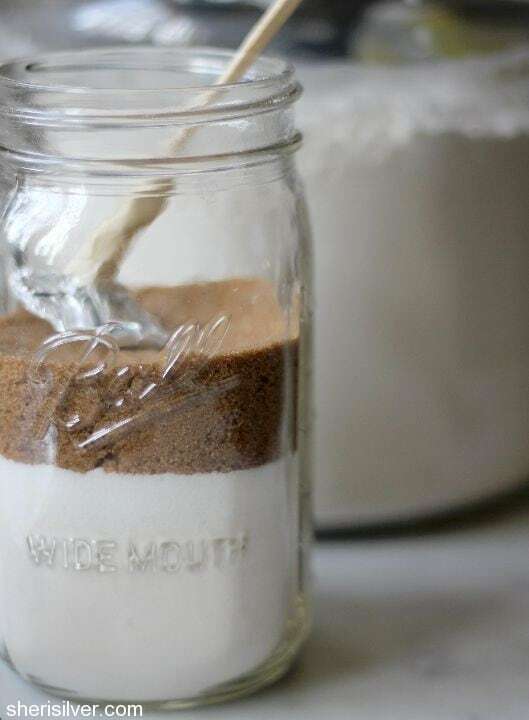 Do you think if we wanted to do this same recipe in a pint jar, which is half of a quart, we could cut the recipe in half and things would come out alright? I’m so excited to make these for Mother’s Day gifts to go along with their other things! What a great gift! 🙂 The directions are all the way at the bottom; baking temperature is 375! Thank you, thank you, thank you! They make wonderful, thoughtful gifts. I just finished them. Having a breakfast in 2 days at my house and now I have gifts for everyone. Glad you shared!!! How much butter in NZ amounts? Are the quart jars wide mouth or regular? Regular – but either will do! How many jars did you make? I believe I made about 20! I noticed that there wasn’t any baking powder.. plus a lot of salt. Was there supposed to be baking powder? 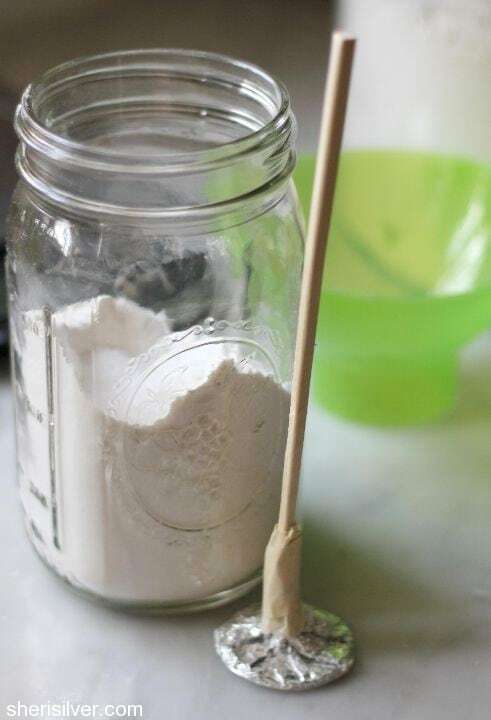 For the 3/4 baking soda and salt is it teaspoon or tablespoon? I’m in the UK. Have u got this receipe in g or oz please!